I read this article and found it very interesting, thought it might be something for you. 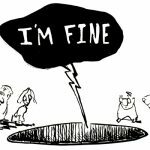 The article is called How the Economics Profession Is Coming to Terms with Its Role in the Great Financial Crisis and is located at http://evonomics.com/economyths-five-stages-economic-grief/. Swiss psychiatrist Elisabeth Kübler-Ross, a pioneer in the field of grief counselling, identified the five stages of grief as denial, anger, bargaining, depression, and acceptance. This extract from Economyths draws on her model of grief as inspiration to chart the long, arduous, but ultimately healthy and healing (we hope, it’s not over yet) process as the economics profession slowly comes to terms with its role in the Great Financial Crisis. The ten years since the first tremors of the crisis began in 2007 have been a difficult journey, not just for the world economy, but also for the economics profession. The status of the field had never been higher than in the two decades preceding the crisis, during what Ben Bernanke and others called the Great Moderation. Inflation and macroeconomic volatility seemed to be under control, and total national income was growing at an almost steady rate (the fact that total debt was growing even faster was less remarked upon). In 2002, Alan Greenspan received an honorary knighthood from the Queen for ‘his outstanding contribution to global economic stability’. The following year, Nobel laureate Robert Lucas, famous for his theory of ‘rational expectations’, told his audience: ‘My thesis in this lecture is that macroeconomics in this original sense has succeeded: Its central problem of depression prevention has been solved, for all practical purposes, and has in fact been solved for many decades.’With its firm grounding in mathematical rigour, economics was the undisputed queen of the social sciences. Indeed, the crisis came as a traumatic event that left mainstream economists in what Greenspan called ‘a state of shocked disbelief’. Models which were based on assumptions of stability, equilibrium and efficiency were of little use when markets were cratering, real estate was sinking into the mud, and oil and food were spiking. And since that time, economists have been working their way slowly and painfully through the different stages or aspects of the grief process, as they realise that their elegant models not only failed to predict the crisis, but also helped to create it. When Economyths first came out, most economists were in a state of denial – especially those at the top of the profession. Future laureate Tom Sargent said in a 2010 interview “It is just wrong to say that this financial crisis caught modern macroeconomists by surprise.” (No mention of whether the non-modern macroeconomists saw it coming too.) Laureate Robert Lucas preferred to see the unpredictability as a natural result of future laureate Eugene Fama’s efficient market hypothesis (though as Posner notes, that didn’t stop him from predicting, shortly after Lehman’s collapse, that the crisis would soon go away).Fama agreed that the efficient market hypothesis ‘did quite well in this episode’. The Nobel committee apparently agreed too. As reality sank in, economists soon began lashing out in anger at anyone who dared criticise their field, including yours truly (I’m going to talk about this because it seems to be quite a general problem). At Canada’s top-ranked economics blog Worthwhile Canadian Initiative, for example, a group of prominent academics, including regular contributors to national publications (Globe and Mail, National Post, Maclean’s, Literary Review of Canada, etc. ),shared their professional thoughts about the book online. Descriptors used included idiotic, ignorant, intellectually lazy, juvenile, random, rubbish, semi-articulated, and ‘sort of like Malcolm Gladwell without the insight’ – ouch. Someone even compared me to a climate change denier (not uncommon, as it turns out). One commenter described the online book burning as part of a widely-deployed ‘shoot the messenger’ strategy against critics. Which is fine – we give as good as we get, and at least they don’t grade us. But what was interesting about their discussion was the way these academics, who hailed from top universities such as British Columbia, Carleton, Laval, and so on, managed to maintain the illusion that they were being incredibly tolerant and open to criticism. As one put it, ‘Economists welcome criticism. In the academy, we are well-known, if not infamous, for being direct, abrupt, and rude in criticizing each other (and others). There is a very healthy discussion about methodology. Bring it on.’ But they confused academic bickering with genuine criticism from people who share none of their biases. The site linked to an even more vituperative blog review by an economics professor at the University of Victoria who of course took pains to say that economics ‘benefits from criticism’, as long as it’s the right type, a topic we discuss further below. (Fortunately I was spared the electronic ‘viruses and hate mail’ which have apparently afflicted other critics of mainstream economics.) And that was about it for thoughtful response from the country’s economics establishment, at least until former Deputy Governor of the Bank of Canada William White (now at OECD) – one of the few people who warned of the financial crisis – cited the paperback edition as a Bloomberg Best Book of 2013, perhaps out of sympathy. As anger started to burn out, the next stage of the drawn-out and generally exhausting grief process involved bargaining: both with the future – perhaps we can put things right – and in a kind of retroactive bargaining with the past, saying that the event would not have occurred if only something had been done differently. 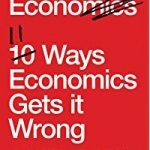 One common argument, anticipated in the book’s introductory chapter, was that there is nothing wrong with economics per se, the problem is one of poor communication: the field’s critics just don’t understand the full rich diversity of economic thought, and are attacking a simplified caricature. A good illustration of this approach was the 2015 book Economics Rules by Dani Rodrik from Harvard. Echoing Lionel Robbins – who called economic man an ‘expository device’ in 1932 – Rodrick explains that the reason student groups such as the Post-Crash Economics Society are frustrated is that introductory economics courses offer only a pared down version of the theory and give ‘little sense of the diversity of conclusions in economics’. Also most economists are poor at presenting their arguments to the public, because they ‘see themselves as scientists and researchers whose job it is to write academic papers’. Rodrik does note the existence of a ‘guild mentality’ in economics which ‘renders the profession insular and immune to outside criticism’, and observes in a couple of places that ‘Only card-carrying members of the profession are viewed as legitimate participants in economic debates’. Yet later he cites the influence of behavioural psychologists and so on to conclude that ‘the view of economics as an insular, inbred discipline closed to outside influence is more caricature than reality’. (Pardon?) The overall impression is one of bemusement at all the fuss. 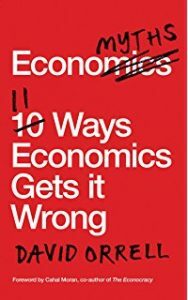 After making a number of good points about models, the book concludes with ‘Ten Commandments’ (aka ‘bargaining points’) for economists, and ten for non-economists. Some of these are very sensible – #3 from the latter list, for example, says: ‘Analysis requires simplicity; beware of incoherence that passes itself off as complexity.’ Others are versions of common defences against critics, e.g. #9: ‘If you think all economists think alike, attend one of their seminars’, and #10: ‘If you think economists are especially rude to noneconomists, attend one of their seminars.’ These are surely well-meant and sound fairly innocuous, unless you’re afraid of economics seminars, but they come up all the time in different guises and it’s worth inspecting them a little more closely. The first is a polite variation of the ‘caricature’ or ‘straw man’ argument, implying that economics is far more diverse and complicated than it appears to an outsider. 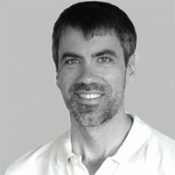 However, the fact that economists do not agree on every point does not somehow innoculate the field against criticism; and the claim or implication that non-economists don’t fully understand the subject, and need to attend a seminar or take a course to appreciate its mysteries, often boils down to a debating or avoidance tactic (and obviously doesn’t apply to the increasing number of critics from within the field’s own ranks). It also leads to the catch-22, perfectly expressed in a generally glowing 2017 review of Rodrik’s ‘marvelous book’ by economist and game theory expert Ariel Rubinstein, published in the Journal of Economic Literature, that ‘One needs to be an outsider to criticize Economics but one needs to be an economist to do it sufficiently well so as not to be drawn astray by stereotypes’, which doesn’t seem to leave many people. Apparently Rodrik qualifies, despite or because of the fact that he ‘belongs to the elite of the Economics academic establishment’. Commandment/bargaining point #10, meanwhile, echoes the idea, also expressed above, that rudeness between economists is evidence of a ‘very healthy discussion about methodology’. I’m assuming this doesn’t include hate mail. Five things … First, the main objection to the arguments made by economists concerns not the style, but the content. Second: as seen below, economists are not rude at all when it comes to questioning their leaders – in fact obsequious deference would seem to be a better description. Third: lack of civility (at least in itself) is not an indicator of healthy scientific debate, in the academy or in the playground. I’d say that advertising it probably reflects more an anxiety about appearing robustly scientific. Fourth: in his 2006 book The Trouble With Physics, physicist Lee Smolin notes that string theorists cultivate a ‘brash, aggressive, and competitive atmosphere’, though he doesn’t see it as an advantage. He also detects a ‘blatant prejudice’ against hiring women. Could these be related – and could macho posturing be a similar problem in economics? According to one article, by economist Miles Kimball and an untenured female economist who didn’t want to be identified in case it hurt her career, some male economists ‘may not even realize all the ways they routinely put others down – especially those in vulnerable positions who dare not strike back’. Finally, and related, rudeness might be fine between equals, but one of the functions of social graces is to help deal with asymmetrical power relationships, of the sort encountered in economics departments. A 2015 investigation at the University of Manitoba, for example, concluded that while the department head, an orthodox economist, had insisted ‘that he was committed to maintaining diversity’, his subsequent actions resulted in a change of climate that had the opposite effect. This ultimately led among other things to ‘a violation of academic freedom when orthodox members of the department behaved in ways that discriminated against doctoral students being supervised by heterodox economists’. According to one professor there was ‘serious bullying going on’ including threats to interfere with the tenure process. No wonder the students are calling for revolt (they’re so rude). It therefore comes as something of a relief to us critics that some economists at least may be proceeding to the penultimate, more passive stage of the grief process, depression. Evidence is provided by a paper by Paul Romer, ‘The Trouble With Macroeconomics’ (he had also been reading Smolin’s book, hence the title), a 2016 preprint of which caused a considerable stir in economics circles. Sounding almost Economyths-like in style, the first sentence of the abstract announces that ‘For more than three decades, macroeconomics has gone backwards’. It goes on to describe the author’s ‘pessimistic assessment of regression into pseudoscience’ and mention the ‘serious failure’ of top economists. Decidedly non-upbeat section titles include ‘Post-Real Models’, ‘Loyalty Can Corrode The Norms of Science’, ‘Back to Square One’, and ‘The Trouble Ahead For All of Economics’. No concrete solutions are proposed for what sounds, to an outsider, like a rather dysfunctional state of affairs. In the same way that elegant but unfalsifiable string theory has, as Smolin showed, taken over high-energy physics, so mainstream economics has increasingly emphasised elegant but unfalsifiable mathematical models over experimental reality. Most of the parameters in the models cannot be determined from observations, but are simply made up to give the desired answers. Events such as crashes are assumed to be caused by external shocks, rather than internal dynamics. The models can’t make sense out of even basic things like monetary policy, which according to theory – since money plays no significant role in these models – should have little or no effect. However, the problems are as much sociological as they are mathematical. Just as string theory is characterised by what Smolin described as ‘groupthink’ about the correct way to approach problems, so some economists see it as ‘an extremely serious violation of some honor code for anyone to criticize openly a revered authority figure … neither facts that are false, nor predictions that are wrong, nor models that make no sense matter enough to worry about’. Romer, who is now chief economist at the World Bank, notes that he sees himself more as a practitioner rather than an academic, so feels free to speak out and tell it like it is, but many people are afraid to criticise a ‘revered leader’ because of the ‘unpleasant reaction’ that it may evoke. He relates a story of running into a colleague who was so angry with him for criticising a paper by Robert Lucas that ‘at first he could not speak. Eventually, he told me, “You are killing Bob.”’ Yikes. So much for that self-image of economists being open to criticism. In fact Romer says he was inspired to write the paper after seeing a documentary about the Church of Scientology. However, while it is refreshing that some in the mainstream are facing up to these problems, and Romer’s paper is written with great courage, a dose of dark humour, and an obvious concern for the state of economics, there is in fact little acknowledgement that these issues have long been debated and solutions proposed outside of the mainstream; and as argued in this book, it is exactly this deafness to other voices which is at the root of the ‘trouble with economics’, and the reason it has taken so long to confront the fact that there might be a serious problem, let alone actually do something about it. Of course, depression is a state of mind that involves turning inwards. But for an area as insular as mainstream economics, the final stage of the grief process – acceptance – will only come when the field finally gets over itself and opens up to new ideas – or even the old ideas that have been there all along. This may be beginning to happen. In 2017 for example the UK’s Economic and Social Research Council announced that it intended to set up a network with its remit being to ‘revolutionise’ the field of economics: ‘It will be led by a team of 25 world leading experts taken not only from different branches of economics, but also from psychology, anthropology, sociology, neuroscience, economic history, political science, biology and physics.’ Perhaps those experts can answer some of the questions we posed for them back in the original 2010 edition of Economyths. As seen in the revised edition, ideas from areas such as complexity science and data analysis are starting to sink in and have an effect. And some high-profile economists are having a go at new approaches. Joseph Stiglitz, for example, recently contributed to a paper that uses an agent-based model to account for ‘the complex adaptive nature of economic systems, and the implications of money endogeneity’ (i.e. the fact that money is produced by banks). But one thing that mainstream economists won’t go near – it doesn’t fit with the models – is the idea that economists might not be quite so impartial, objective and unbiased as they appear. Rodrik, for example, notes that leading economists had bought into the dominant efficient market paradigm which saw markets ‘not only as inherently efficient and stable, but also as self-disciplining’, and that this ‘legitimized and enabled a great wave of financial deregulation that set the stage for the crisis’. He describes it as ‘curious’ that other models were not used. But why would they make that particular choice? Why were other models, such as Minsky’s model of the credit cycle, repressed? And did economists buy in or sell out? The field of economics has an unhealthily close dependency relationship with the financial sector, which may just have clouded its judgement. Instead of acting out against critics in a way that embarrasses the profession, or ignoring those who want to help, it’s time for mainstream economists to relax the defences and open up a little. A first step is to untangle those institutional effects and other motivations that have shaped their field and which continue to resist change. I’m sure there are plenty of sociologists and psychologists (even grief counsellors probably) who can help. Of course the process can’t be rushed, so here is, not a commandment, but a gentle suggestion to economists in this difficult time: ten years is enough. Time to open the windows and let in the fresh air.